Have you heard about using points to travel for free? Well I’m here to tell you, it WORKS! I have been using this strategy to visit many of my dream destinations around the globe for years, and I’ve also helped others save literally thousands of dollars in airfare by teaching them these same methods. A little over 6 years ago, I was on a plane headed to a conference in Washington DC, voraciously consuming the book The Art of NonConformity by Chris Guillebeau. I had recently discovered his community and blog, which was all about lifestyle, entrepreneurship, freedom and… POINTS TRAVEL. Chris had decided to visit every country in the world before he turned 35, and he was well on his way to achieving that goal. His primary means for accomplishing this was by strategically racking up points among various airline reward programs, and then redeeming them to get FREE flights and hotels around the world. I was already a well-established travel junkie myself, having visited 40+ countries by then. So I wasted no time in applying for my first credit card, the Chase Sapphire Preferred, and soon after I booked my first FREE flight to Cancun, Mexico for a visit to the Yucatan peninsula. I was hooked! Since then I have traveled to multiple international (and USA-based domestic destinations) including: Sri Lanka, Japan, Myanmar, Europe, Mexico, Canada, Hawaii, and more. To this day I have NEVER paid for a flight (*note-you do have to pay minor fees and taxes, which usually comes to around $80 for a RT international flight from the USA, and around $12 for a RT domestic flight). I have also used points for FREE hotel stays, plus a few rental cars along the way. Not bad! As I went deeper into all that is points travel, I learned that there are many ins and outs for how to best acquire, manage, and leverage your precious points. In this article, I’ll share with you the step-by-step process I use, plus some lessons I’ve learned along the way. Note: these methods are for US-based credit cards only. Stay tuned for our Canadian guide to points travel. How does points travel work? The basic strategy is to apply for specific credit cards that offer the highest number of “sign-on bonus points” after meeting a required minimum spend on the card, within a specific time-frame (usually 3-4 months). When I first started, I applied for every card I could, as often as possible (I figured I’d eventually use the points for something…and I did). But now I apply for cards in a more thoughtful way, based on where I want to go. The best way to compare points credit cards is the travel rewards comparison section on a comparison site like CardRatings.com. This page highlights each card's rewards, signup bonuses, requirements, and is always kept up-to-date with the latest offers. Both of these cards are great for beginners. The main difference is that the Chase Sapphire Reserve has a much higher annual fee, but this is offset by the annual travel credit, as well as 3x the points earnings on travel and dining vs only 2x with the Chase Sapphire Preferred. Both cards are great for beginners, but if you plan to travel soon, the Chase Sapphire Reserve can definitely be worth it! Compare these cards along with other top travel rewards cards here. ProTip: for each card, there’s usually a business version and a personal version. If you have your own business (even if it’s a small side-gig) you can apply for BOTH and get double the amount of points! There are other ways of accumulating points, but this is a great way to build up your stash FAST. 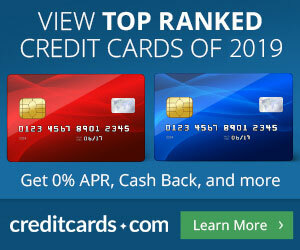 You can compare some of the top business credit cards here. After you’ve got your 60,000 points via the Chase Sapphire Preferred card, you’re ready to apply for your next one! There are three major airline alliances which MOST airlines around the world belong to; Oneworld, Star Alliance, and Skyteam. I put these into three “buckets” (similar to the way you might save money in 3 different piggy banks). Because a LARGE number of airlines around the world belong to one of these three alliances. If you accumulate reward points that are valid in EACH of the three, then you will be able to fly with ALL airlines who are members of that particular alliance. Bottom line:once you have points in each “bucket”, you can literally fly to almost any destination on the planet! Below I’ve listed the USA-based Airline reward program and the corresponding alliance. 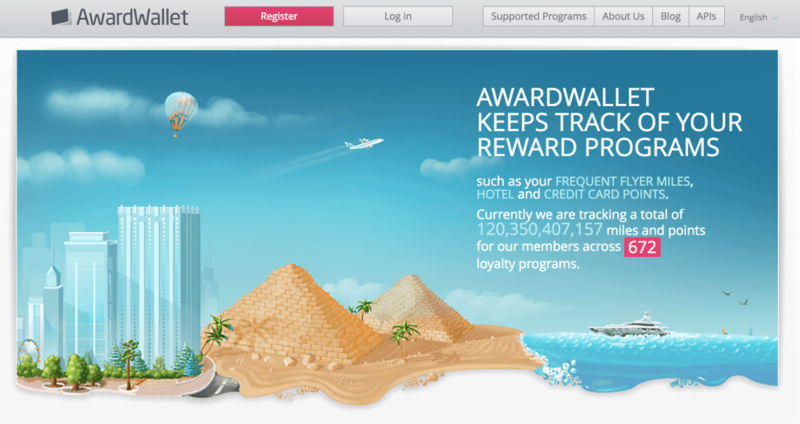 You should join the frequent flyer reward program for each. ProTip: So, to start filling your 3 “buckets”, you want to look for credit cards that will give you points in the reward programs for American, United, and Delta. By the way, there are some airlines that don’t belong to these 3 alliances, and may also offer points travel opportunities (such as Hawaiian Airlines, Alaska Airlines, etc.). 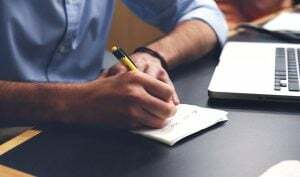 However, if you’re just starting out, I recommend you first build up your points portfolio using the “3 bucket” strategy because it will give you more options. And how do you find the credit cards for each bucket? The Airline Credit Cards section of our credit cards page in the navigation lists all the best cards available from each airline, letting you easily compare the rewards earnings and sign-up bonuses. This page is always kept up-to-date with the latest offers, so you can check in every now and then and see what's available. How to redeem your points! Congratulations! You’ve racked up enough points to get a free flight! Now what!? This one should be easy, but feel free to peruse for inspiration here! Step 2: Find out which airlines fly there. 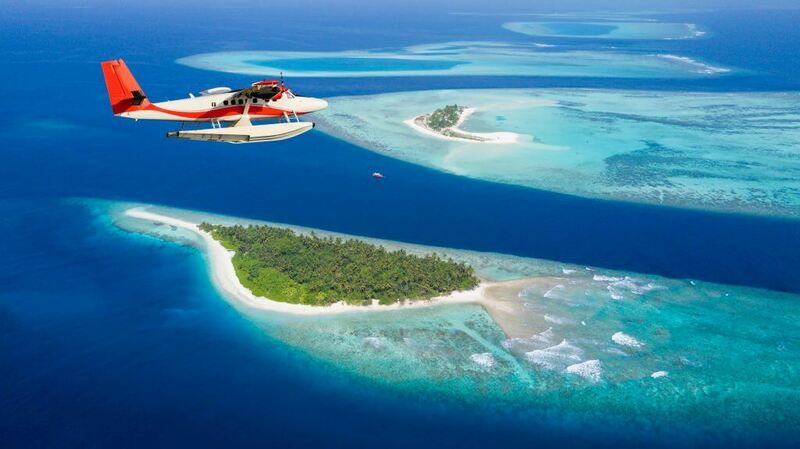 To figure this out you can do a simple search on a flight search engine like Skyscanner. Although usually multiple airlines will fly to a destination, you’re looking to see which ones fly most frequently, because then you will have more options for flight times, dates, and cost (in points). Step 3: Figure out how many points you need to get there. One of my favorite tools is Milez.biz , which allows you to calculate the exact number of points you’ll need to fly economy, business, or first class on many of the major airlines. Some airlines also have an interactive travel awards page on their website, like this one and this one, that allows you to basically do the same thing. You can also do a “mock” search within your airline reward program account (if you have one). For example, AAdvantage (American) or United Mileage Plus. Just enter in all your details, select “pay with miles”, and you’ll see how many points you’ll need. You don’t have to book until you’re ready! Step 4: Determine which cards you need in order to get the required points. 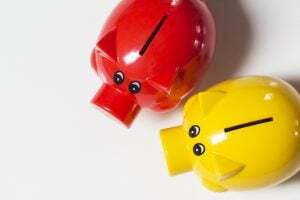 Credit card promotions are constantly changing, and there are up-to-date comparison sites that can help. 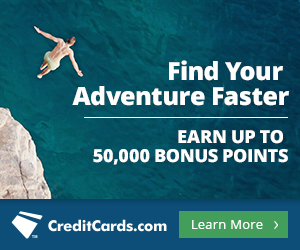 CardRatings.com has a page of the top travel rewards cards along with all of their benefits. You can also read our guide How to Get FREE Flights with Travel Credit Cards & Points for some of our personal recommendations. Step 5: Always compare 2-3 options and then determine which one will give you the best deal. For example, I may be able to fly to Amsterdam using my Delta or United points, but one may cost me 80,000 points while the other only costs me 60,000 points for the same basic trip. You also may want to consider flight duration and times before making your final choice. Once you start receiving sign-up bonuses, you may be considering cancelling credit cards only to sign up and receive the bonus again. But a word of caution: I learned the hard way that you must pay close attention to the rules and regulations for each card. Early on I tried to cancel, then re-apply for some cards, but after diligently working to meet the minimum spend, I found out that I wasn’t eligible for the repeat bonus points. So sad! For example, some cards like the Starwood Preferred Guest AMEX (a great card due to its flexible transfer partners) only allow you to get the bonus ONCE in your lifetime, while others such as all of the Chase cards allow you to get the bonus again but only 24 months after receiving the bonus points the first time around. In addition, you need to know about other considerations such as the Chase 5/24 rule, which is that if you have opened 5 or more credit cards in the past 24 months, you won’t be approved on a new Chase card application. You can read more about this rule HERE. With a wide variety of travel cards and sign-up bonuses available, the simplest solution is to enjoy the points and benefits of your card for as long as it suits you, then aim to apply for new cards that you've never owned before. Don’t lose your precious points! If you decide to become a points traveller, you also need to know how to keep your points active. Some reward programs will immediately forfeit all of your lovely points the moment you cancel the card – eeeek! Others will allow you to keep the points for a specified period of time after canceling the card, such as 12-18 months. If you choose to keep a card open, but you don’t actually charge anything on the card for a long time, this too can lead to forfeited points. For this situation, there are things you can do to keep your account “active”. My favorite strategy is to use such a card to auto-pay one bill, such as my cell phone. That way I know I’ll never run into the problem of losing my precious points. There are other ways to keep your accounts active. One method is by completing customer service surveys, which then allow you to earn points. E-rewards and E-miles are a couple of survey programs you can try for this approach. Wait, is this going to jack up my credit rating?! Right about now, you may be asking yourself this question. Personally, I’ve had up to 10 cards open at a time with no problem. I even refinanced my house with all those cards open and it was never an issue! 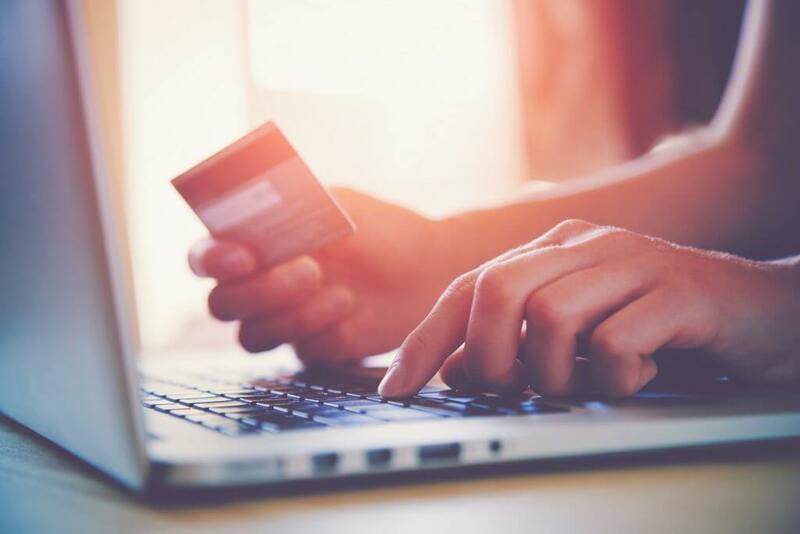 The fact is that points travel can actually IMPROVE your credit score, but there are some things you need to be mindful of. Check out our guide “Does Applying for Credit Cards Affect Your Credit Score?” to learn more. First, determine your current credit score. Credit Sesame and Credit Karma are two free resources to help you see where you stand. Keep at least one credit card open long term (this is good for your credit score). Pay (at least) your minimum monthly fee on time! Late payments are one of the worst things for your credit score. Better yet, pay off your balance in full each month. By now you can see that there are a lot of details to keep track of. Normally I manage all my points, annual fee dates, etc. on a simple spreadsheet. However, there are some programs that help you manage your points. Award Wallet is a straightforward one you can try. By following these simple steps, you too can become a Points Traveller! It’s not rocket science, and anyone can do it. As long as you’re willing to spend a little time doing the research and managing the details, you’ll soon be enjoying free flights around the world like I do. The way I see it, the system of points and reward programs is already in place, so why not learn it and use it? What’ve you got to lose? And this is just the tip of the iceberg…. What’s next on my list? I’m currently accumulating points that will get me to Central Asia; Kyrgyzstan, Uzbekistan, etc. (I love off-the-beaten track places). Kristyn is an Intuitive Business Coach, Life Design Strategist, and life-long Travel Junkie. She helps service-based visionary entrepreneurs build their thriving dream business, so they can create more freedom and prosperity in their life, while making a positive impact in the world. As an adventure advocate and freedom lover, she also teaches people how to travel better. Nothing makes her happier than helping OTHER people learn these methods, so that they can experience more of the world too! She lives in sunny San Diego, loves to explore tea shops in every city, and always travels with pickles.